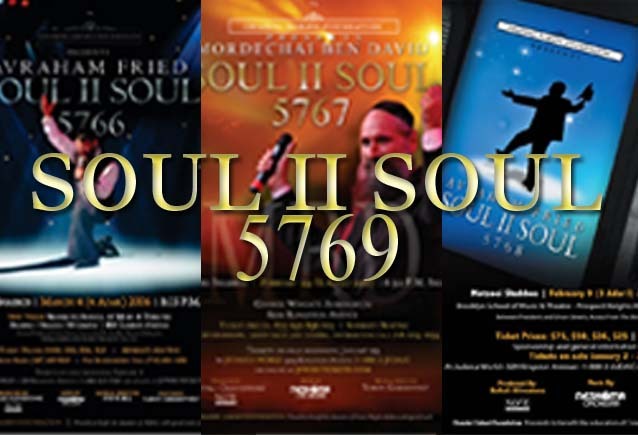 The star of this year’s much-anticipated Soul II Soul concert will be the renowned performer Lipa Schmeltzer. Every year, the Soul II Soul concert brings the Crown Heights community together for an evening of exciting entertainment for the whole family, to benefit children with special needs. This year’s concert will be on Motzoei Shabbos, January 10 at George Wingate Auditorium at 600 Kingston Avenue. Tickets will be on sale at Judaica World and Jewishtickets.com. Proceeds to benefit the Chasdei Zahavi Foundation.